Just like we are sometimes a little late for the bus (or the green robot) so too, we sometimes catch the tail end of a food trend whooshing by. In case you’re running behind the quinoa craze waving your arms madly for a chance to catch what it was all about, we’ve rounded up our favourite quinoa recipes for you to try. Go get the t-shirt. 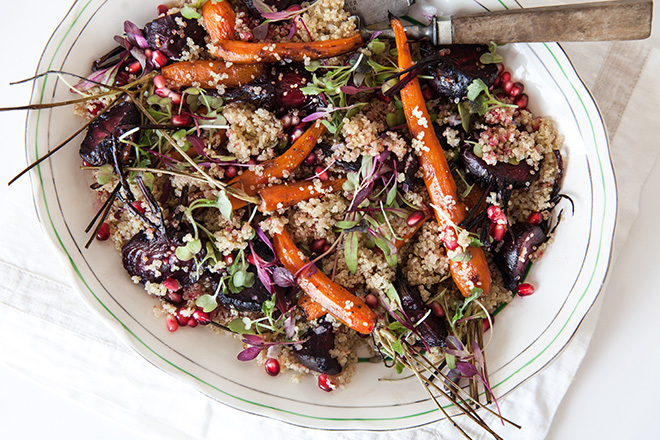 Root veggies are all the rage in winter, but if you’re feeling like your roast veg could do with some light protein, quinoa is your call to action. Try this recipe out for size and then mix it up to suit whichever veggies you have at your disposal. The quinoa will add a delicious nutty nuance. Tired of having toast as your regular office lunch? This wholesome artichoke and quinoa salad can be whipped up quick-sticks the night before, providing you with a well balanced meal when those post tea time cravings come a-knocking. Think quinoa is only for salads? Think again. 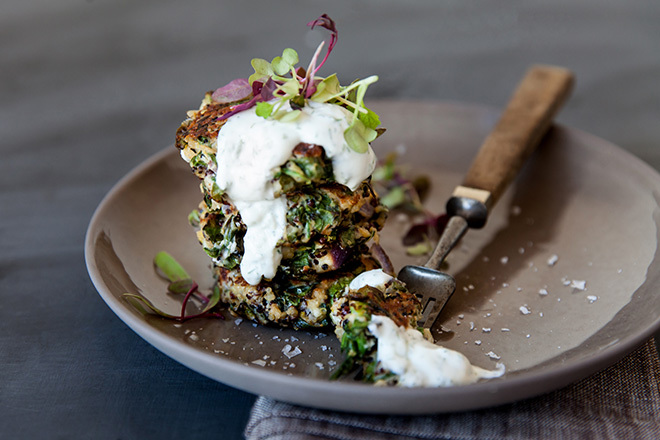 Just like breadcrumbs can be used to keep a burger patty together, so too can quinoa come into its own as the sustenance of a meat free veggie cake. And the yoghurt dip. Deliciousness is. 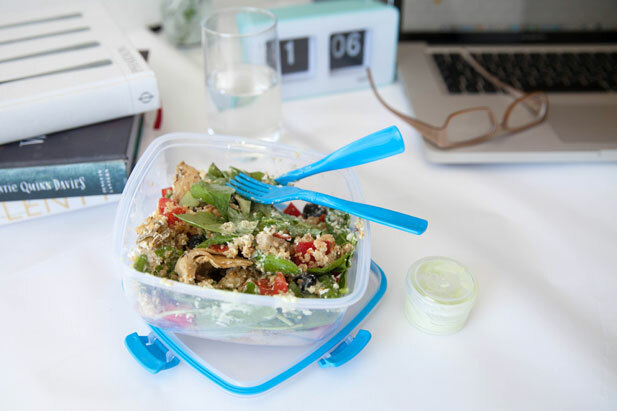 Once upon a time, a little salad club existed at Yuppiechef HQ. 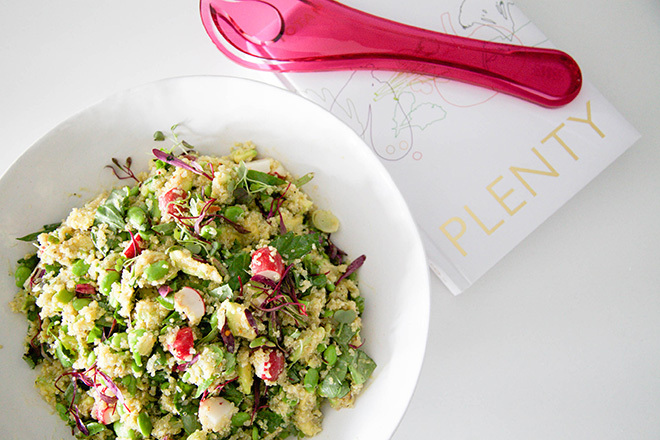 This zesty avo and broad bean quinoa salad from the fanciful fold of Yotam Ottolenghi’s Plenty was a fresh favourite. A dish that tastes light but leaves you feeling full? Now that’s a balanced meal. 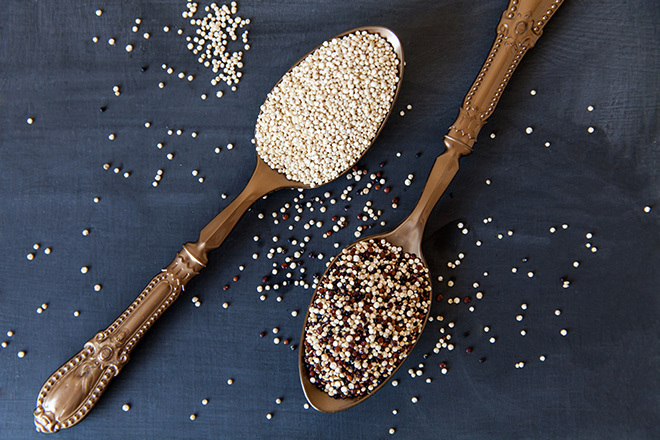 Quinoa’s beauty lies in its gentle flavour and ability to be persuaded to taste pretty much just how you want it to. 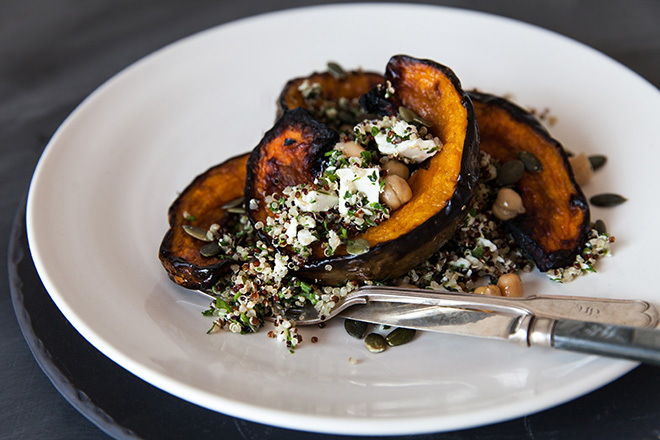 In this rustic veggie dish quinoa makes firm friends with a variety of herbs, while the roasted warmth of pumpkin and chickpeas take centre stage. Tasty. Did you catch the tail end of this trend? Which was your favourite quinoa recipe? We hope that dabbling in foods you wouldn’t normally dare to cook inspires you to shake up other recipes too. ‘Been there, done that, most definitely doing it again’, is our motto where quinoa is concerned.